I graduated from the University of Birmingham in 2002 and following that worked exclusively in Oral and Maxillofacial surgery posts across the U.K. both in primary and secondary care. I completed an externship at the University of Illinois Chicago in Oral Surgery, and underwent further training at the University of British Columbia, Vancouver and currently hold the position of Lecturer in Oral Surgery at The University of Leeds with an honorary clinical contract at Leeds Teaching Hospitals NHS Trust. 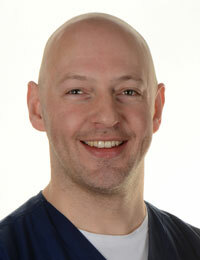 I am the Educational Advisor in Oral Surgery for the Royal College of Surgeons Edinburgh and an MJDF examiner. In addition to this I am an Expert Advisor for NICE and an Expert Witness and Advisor for the General Dental Council and a key opinion leader in piezosurgery in Europe. My interests clinically lie within the management of patients requiring surgical rehabilitation in particular the use of grafting and zygomatic implants for this purpose and also bone preserving surgery for exodontia. I am passionate about education and am involved in teaching both undergraduate and postgraduates in oral surgery alongside speciality trainees in oral surgery. Other interests include management of the medically compromised patients and I am an Advanced Life Support Instructor for the Resuscitation Council UK and regular teach on their courses. I am studying a PhD part time at the University of Leeds investigating referral habits of general dental practitioners with regards to oral surgery and the trends within this, and the importance of education at an undergraduate level in oral surgery prior to foundation training.